Jenson Button celebrating reaching his milestone with colleagues and team members. Credit @tumblr.com. The weekend saw the Malaysian Grand Prix occur and, whilst Red Bull’s Daniel Ricciardo took the chequered flag in 1:37:12.776, the race seemed to be significant for another reason. In this race, British driver Jenson Button started his 300th career Grand Prix, becoming only the third man in history to achieve this feat in the process. Button finished 9th in his milestone race, although his historical achievements seem to take precedent over the final result at Sepang. In 300 races, he has achieved 50 podiums, along with 15 race wins, has amassed 1233 points, whilst also seeming to win the sport’s most coveted prize: the World Championship in 2009. 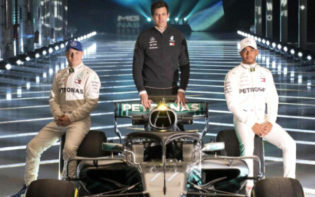 Button’s vast array of both experience and trophies may place him amongst the greatest of all time, yet perhaps more significantly may motivate other British drivers, including reigning champion Lewis Hamilton, to attempt to emulate Button’s achievements in the sport. 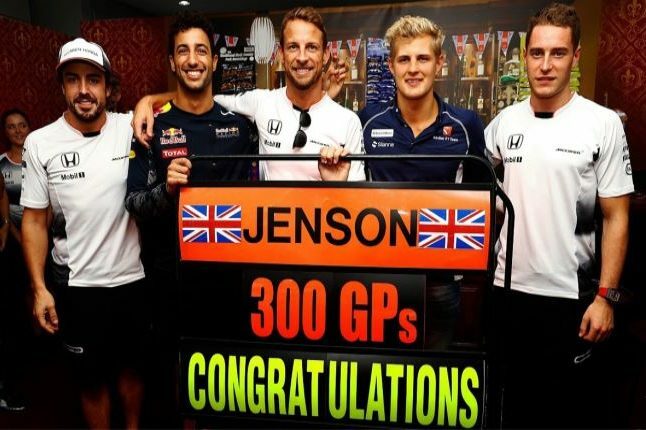 In Malaysia, Button seemed to become the focal point, with his constructors, McClaren, turning his garage into ‘The Dog and Button’ pub to commemorate his achievement. 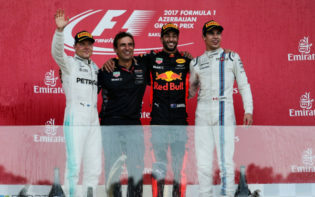 The expectation on Button may have weighed him down, yet Button seemed to use this to his advantage, finishing in 9th position and adding 2 further points to his 2016 tally. Although Button seemed to find a place in the record books, it may have been Red Bull, more specifically Daniel Ricciardo, who may utilise the experience in Malaysia in a productive manner; the Australian took the chequered flag ahead of Red Bull teammate Max Verstappen, and the 25 points he amassed seem to have consolidated his position in the table. 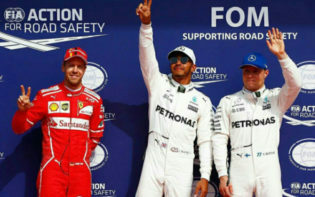 Championship leader Nico Rosberg completed the podium at Sepang, stretching his lead at the peak of the table to 23 points. 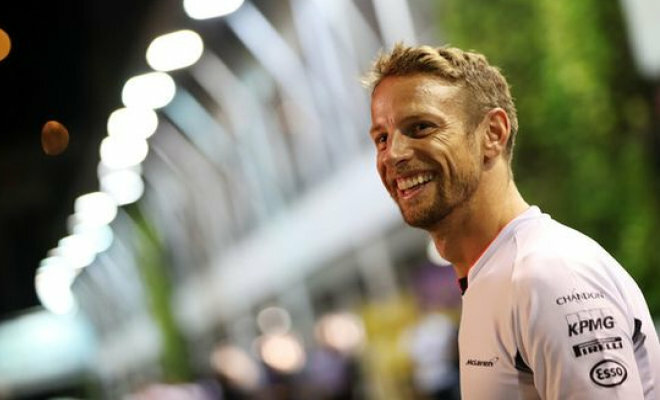 Jenson Button smiling pre-race. Credit @pinterest.com. This season, Button seems to have maintained a consistent streak of results, amassing 19 points in a season seemingly dominated by the superior Mercedes cars. His experience in the sport seems to have been beneficial to him during 2016, as he seems to have managed to stay composed and drive at a consistent standard to amass points for himself and his team. After 16 years in F1, it seems Button may still be able to consistently compete amongst the best on the grid, and, as the necessity for points increases towards the climax of the season, McClaren might be hoping Button may impact their season in a productive manner. Overall, it seems Jenson Button is the most accomplished British driver in Formula 1 history. The statistics may seem to support this suggestion, with Button the most experienced British driver ever; this, combined with being one of a handful to have claimed the World Championship crown, may emphasise Button’s ability. Button has competed in F1 since 2000, and seems to have competed at the top of the standards for the vast majority, which may suggest he is an experienced and accomplished driver who has achieved longevity. In his 16 years in the sport, he has claimed 15 race wins, the majority occurring in his title-winning season with Brawn, and his 1233 career points place him 7th in the all-time list. His smorgasbord of trophies, podiums, pole positions and race records seem to imply Button is an accomplished driver whose legacy may be considered alongside 7-time Champion Michael Schumacher and Brazilian Ayrton Senna. Ultimately, Jenson Button seems to be amongst the most experienced F1 drivers in history, and, with perhaps another few seasons to compete in, may yet add the record of most Grand Prix starts to his ever increasing repertoire of records. Button seems to have maintained his form, and whilst in recent years the sport seems to have been dominated by Hamilton, Rosberg and Vettel, Button seems to have consistently finished in the points, and his world title win in 2009 merely emphasises his quality and longevity in the sport. It may be this longevity which acts as a catalyst for Button’s legacy, and the milestone achieved in Malaysia may motivate other drivers on the grid to reach the peak of the sport, and may motivate young British drivers to emulate Button’s success and be considered as the best British driver ever. How may Jenson Button act as motivation for other drivers to achieve in F1?